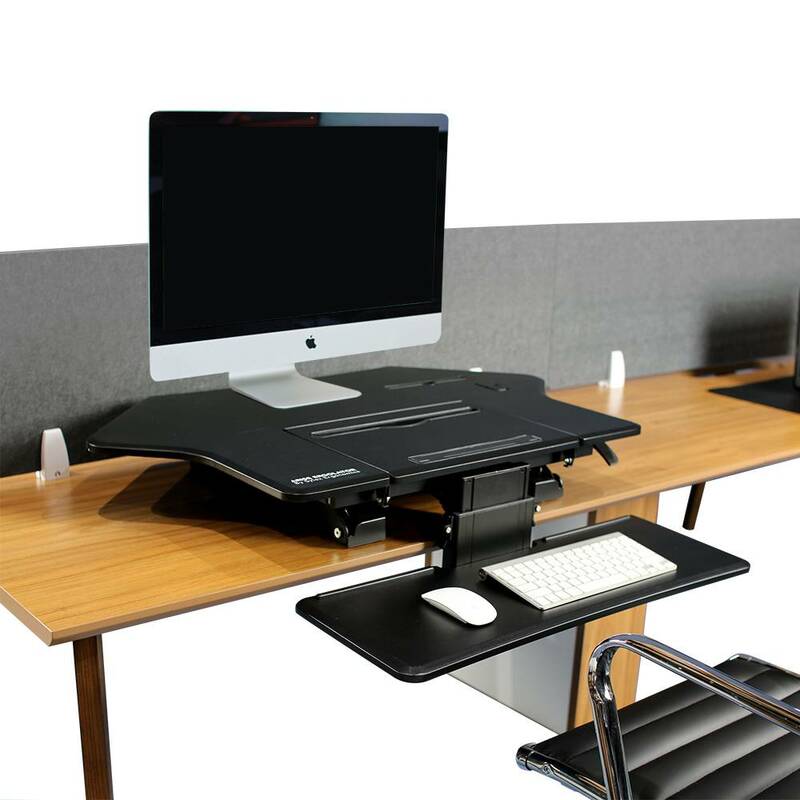 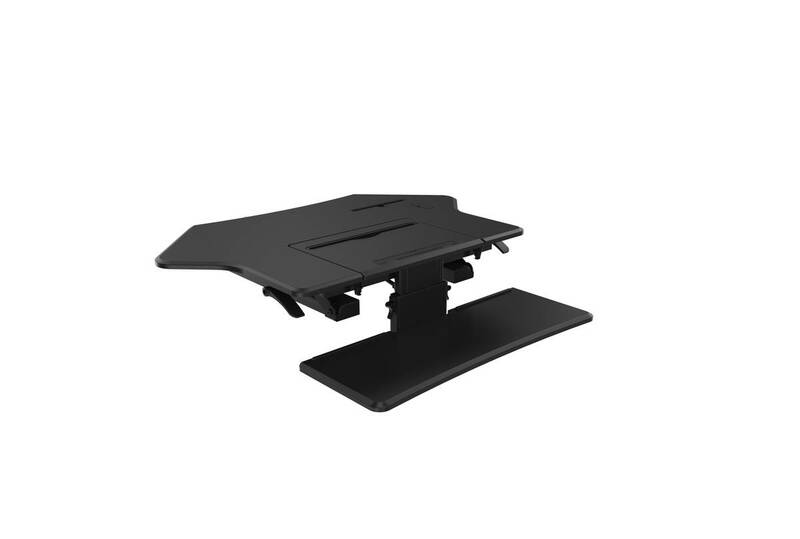 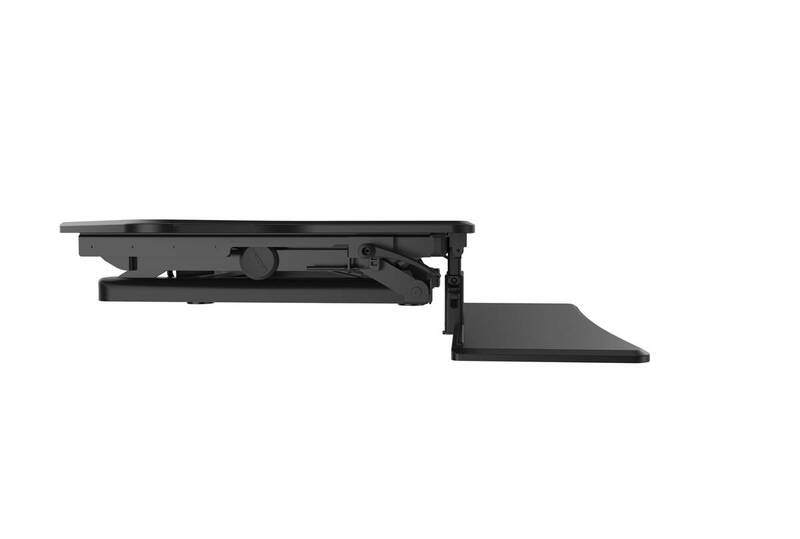 The Ergolator is the only desktop sit stand unit on the market which incorporates a drop-down keyboard platform which places the keyboard at, or even below, the level of the desktop. 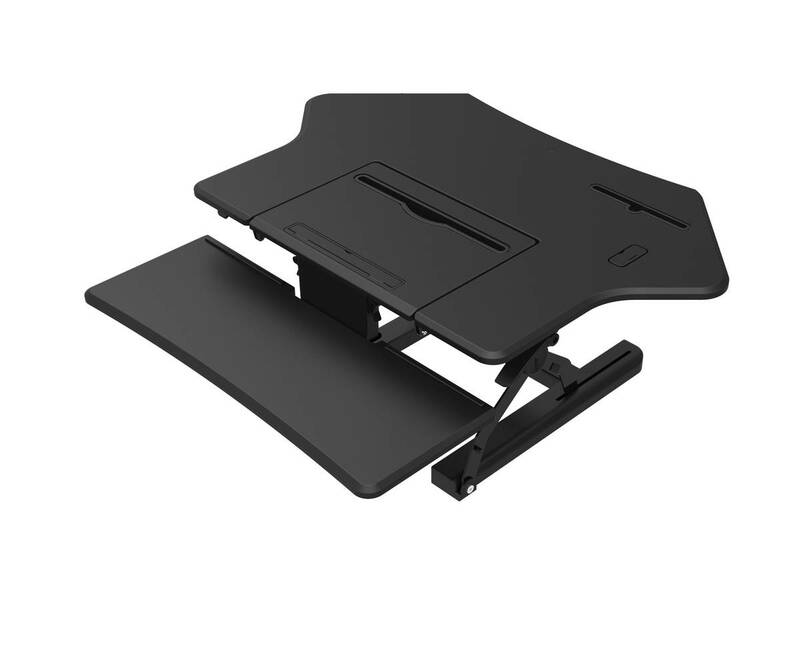 Further, the Ergolator incorporates an in-line copyholder which sits between the keyboard and monitor to prop up your source documents. 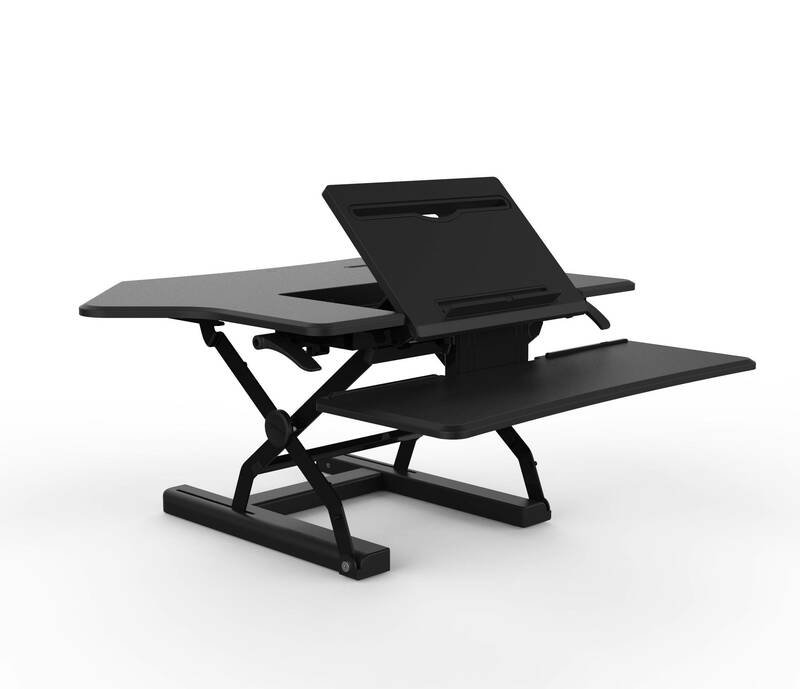 This is a huge advantage in either a sitting or a standing posture. 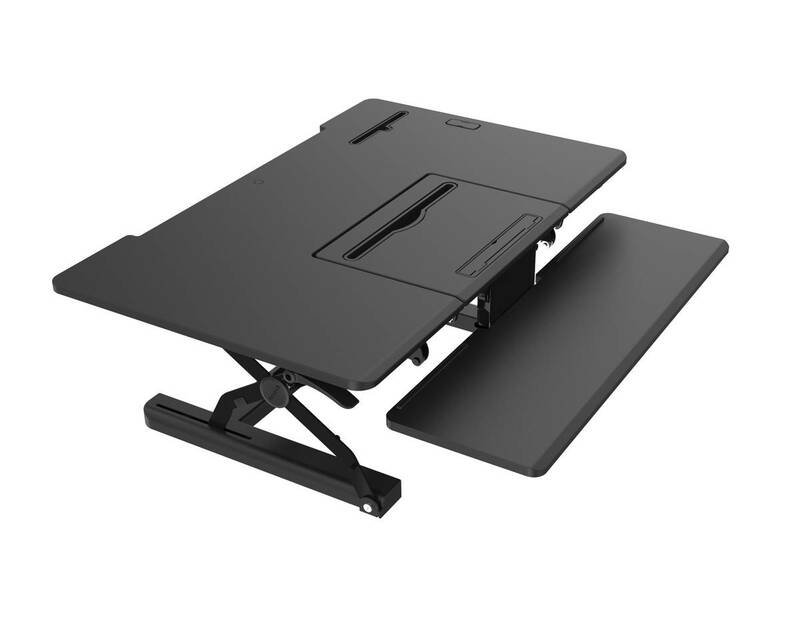 Ergonomists agree that this vertical movement, sometimes called the Yes-Yes as opposed to the side to side No-No posture, is the easiest and most efficient way to work. 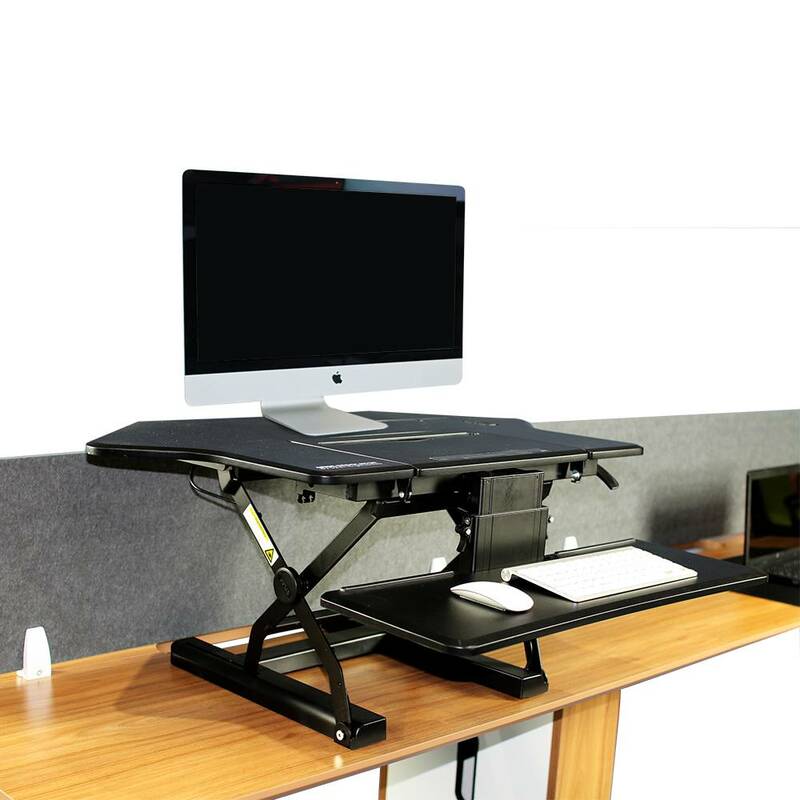 To have everything in a vertical alignment allows users to arrange their computer workspace so that everything is in the same focal plane, avoiding tiring refocussing and obviating eye, neck and shoulder fatigue. 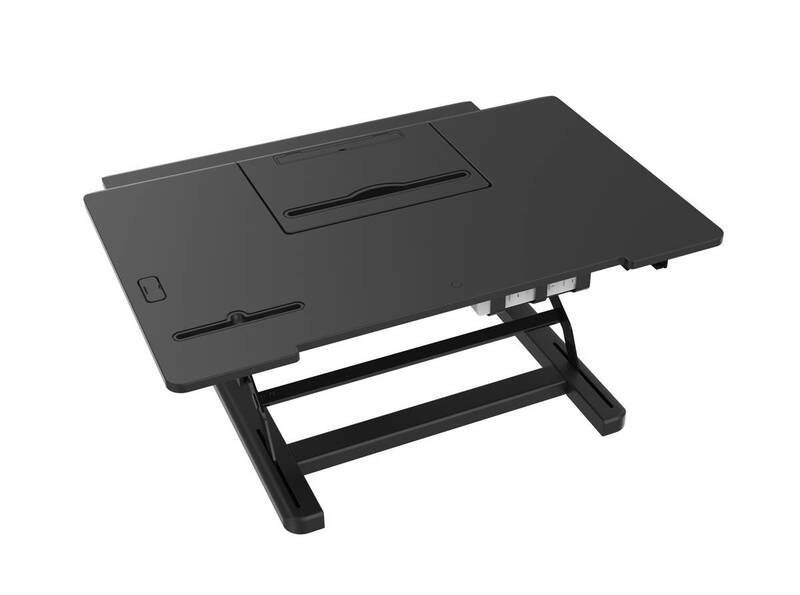 The Ergolator also comes with two convenient USB desktop ports built into the desk surface, providing power and access right where you need it.